Fast Food Dog Costumes: FURRY FASHION SHOCKER! 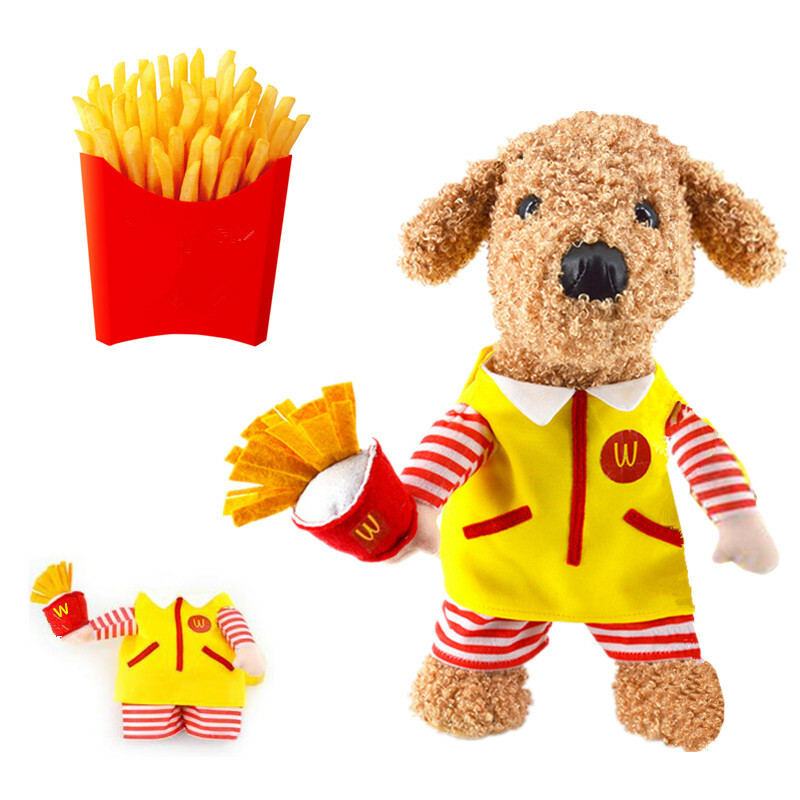 Your precious pup will be the talk of the fashion world in these totally tasty fast food dog outfits! Choose between a "WcDonald's" worker with fries or a "KFF" employee with cute sandwich. Tails are sure to wag in these rad junk food getups. Get yours here today!